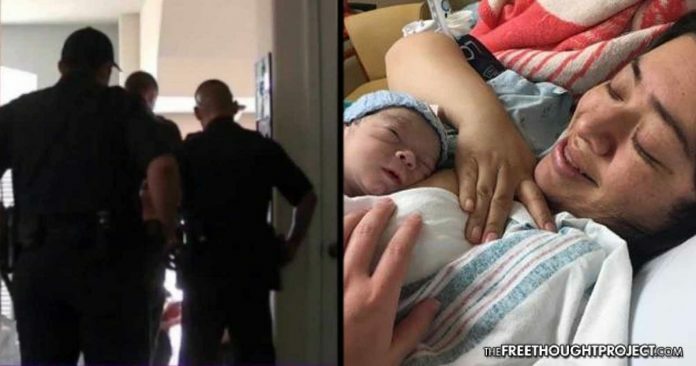 A mother was committed to a psych ward for four days and not allowed to see her newborn baby after she asked her doctor to knock on her door before entering and he went to the police and accused her of having a bipolar episode. 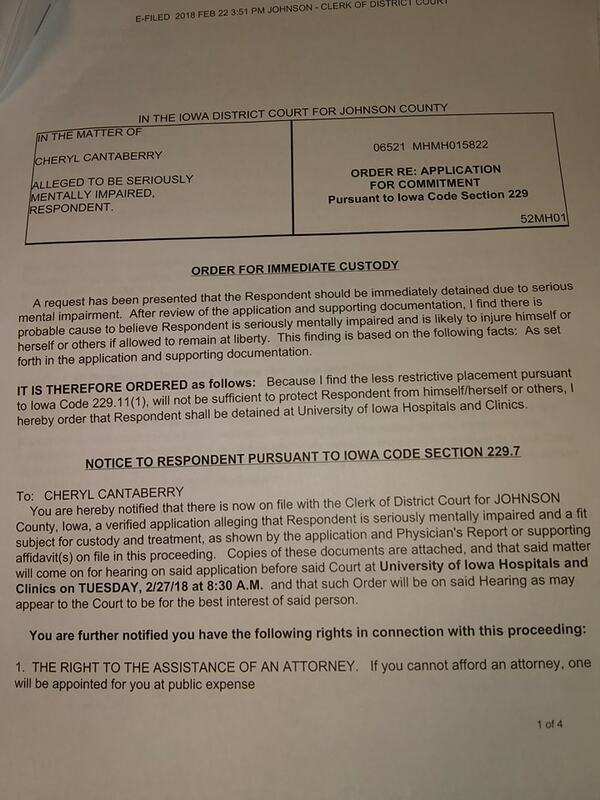 Iowa City — A mother who went to the hospital to give birth was forced to spend four days in a psych ward and her newborn child was kept from her after she criticized the doctor for invading her privacy and he accused her of refusing to take medication from an outdated prescription. Cheryl Cantaberry gave birth to a healthy baby at the University of Iowa Hospital late last month—but the visit was far from routine. While Cantaberry was recovering in the hospital she complained that one of the doctors on staff, Dr. Vesselin, was making her feel uncomfortable by entering her room without knocking and was not respecting her personal space. Vesselin accused Cantaberry of being hysterical and began to question her about her former bipolar diagnosis. He asked her if she had been taking medication that was prescribed to her several years ago. Cantaberry informed the doctor that she had not taken the medication in years, and instead manages her mental discomfort with holistic alternatives. She also told him that her history of mental distress was tied to domestic violence, which is why his invasions of her personal space made her feel so uncomfortable. Vesselin then accused Cantaberry of having an episode and ordered her to take psych medication. But she refused because she wanted to breastfeed her baby and did not want to poison the milk. The refusal sparked an argument with the doctor, in which he insisted that she take the medication, or he would not allow her to see her baby. Cantaberry naturally became extremely upset by the threat as any mother would. Next, Vesselin called the Johnson County Sheriff’s Department and told them that the baby would not be safe to go home with her mother and that Cantaberry needed to be committed to the hospital’s psychiatric ward. “I refused to take the medication because of the effects it has while breastfeeding, then Dr. Vesselin had me committed to the University of Iowa psych ward. 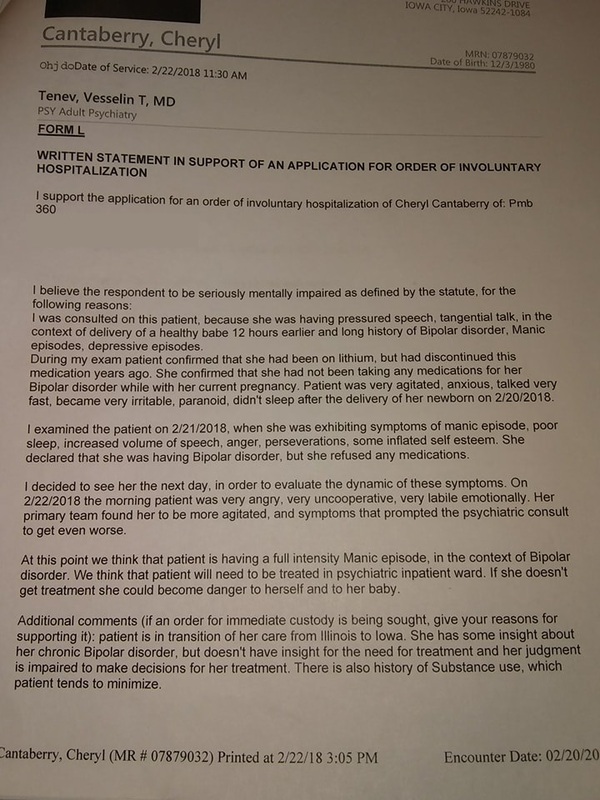 The conditions of this involuntary commitment were not discussed with me and I was not notified that if I refused to take medicine I would be committed to a psych ward. In addition, no plan of medication was ever offered either in written or oral form. My patient rights were violated,” Cataberry told The Free Thought Project in an email. “Bonding with my child has been robbed and I am now afraid of doctors as a result of how unprofessional Dr. Vesselin was during my intake,” she added. Cantaberry was held against her will in the psych ward for four days until she was able to plead her case in front of a judge. The court ordered her to take a class b medication called Risperdal and said that she would not be able to go home with her child unless she followed the doctor’s orders. Cantaberry says that she was refused the right to choose her own doctor, or even to get a second opinion to level out the claims that were being made against her by Dr. Vesselin. Cantaberry is happy to be able to home with her baby now, but she says that irreplaceable time with her child was taken away, and now she has lost the ability to breastfeed and has been forced onto medication she does not want or need. “They failed to notify me if I rejected treatment that I would be locked up. If I would have given him formula I would not have been committed,” Cantaberry said. She also told us that she is planning legal action against the doctor and hospital for the treatment that she received and the resulting trauma.